With the introduction of Google classroom, Microsoft OneDrive, and digital testing more schools are opting to go 1:1 and are moving toward going paperless. 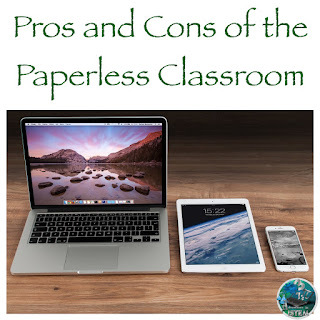 Is going 100% paperless really what is best for the students. I'll list some pros and cons and let you make your choice on what will work best for you. With every assignment online assignments will not be lost in the students black hole of a back pack or left at home or on the playground. Students have the potential to become more organized by keeping assignments in folders so they are easy to access and find. We are now in the digital age and with that employers are looking for people that know their way around computers. Going digital will help give students the skills they need for life in the workforce. They will learn how to research and use reliable sources. They will learn basic word processing and presentation skills. They can be given the opportunity to try out multimedia presentations and really use their creativity. There is a lot of research out there that supports the benefit of physically writing information down on paper. The act of writing helps the brain remember and retain information better than just reading or listening to it. Typing notes is not as beneficial as actually writing notes down. One of the biggest fears for those that go paperless is having the internet go down or getting a power out. 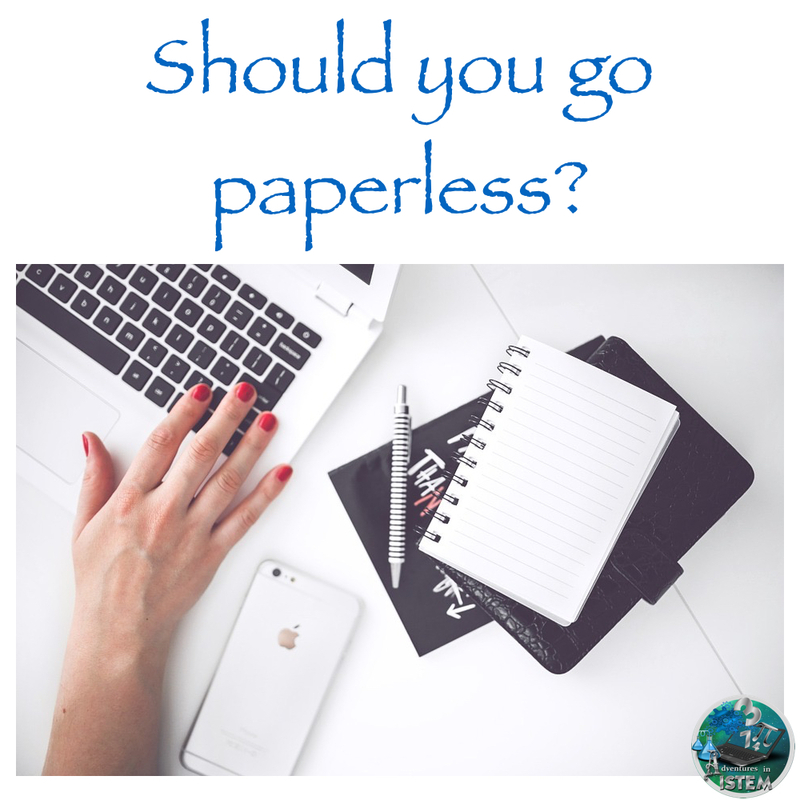 If you are not paperless than you don't have to worry about not having the internet your lesson can continue. However, if you are 100% paperless you will need to modify or completely change your lesson for the day. With students on their devices for most of the day one fear is that students will have less communication with each other. This is a big concern for language learners that require lots of oral communication practice. There is a difference between communicating in a digital format where tone is hard to read. Oral communication, which includes tone, is an important skill to master and needs to be incorporated daily in the classroom. As you can see going paperless and choosing not to go paperless both have their benefits. You will need to decide what works best for you and your students. Although I have a chromebook cart in my classroom I have chosen not to go 100% digital. With 85% of my students being language learners I felt that I needed to incorporate writing and oral communication into my classroom so I have decided to go 70% digital. My students start off their units with an inquiry investigation. Sometimes this is a online inquiry and sometimes its a hands-on. In either case the students work together in pairs and groups so that they are forced to talk orally about what they are observing and learning. I then move onto a flipped lesson. The students get the information from a video but are required to take written notes from the video. They then have to go back and create questions from the notes they take. They then move onto science stations. One station is an online station that they usually do in pairs, one is a group collaboration station, and one is a teacher-led station that allows me to meet the needs of my students. Notice that so far half of their assignments are written and half are digital. From there my students take all their notes, review and analyze them, and work on a digital interactive notebook. Once that is done they have a project. I usually give them choices. Some of the choices involve using the chromebooks while others are non-digital. Lastly they take their assessment online.